I was very happy with my old phone. Don’t even remember the name but it was Nokia’s first color mobile in India. My wife and colleagues would insist me to change it, stating that even office boys had better models. They were right. The lift operator had a much better one. But I was never impressed by mobile phones. They were meant for calling and that was it. Also the battery life was pathetic in most modern phones. I was used to charging once a week. Finally I told her that if I start looking for a phone I would end up with the best. That is what exactly happened. 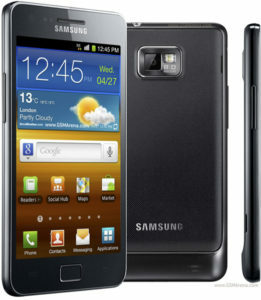 I got the best, Samsung Galaxy S2. It is actually a micro computer with a dual core processor, an amazing screen and support for real multi tasking. You just can’t slow it down.